When we survey the landscape around us, we are continually reminded of the efforts and creative genius of engineers - whether in the form of a new road bridge, an opera house, a town centre development, an airport or perhaps more in the public focus, major projects such as the Channel Tunnel. Perhaps we take the contribution of engineers to society rather for granted but fortunately for us, there are those who commit themselves to this avenue of public service. 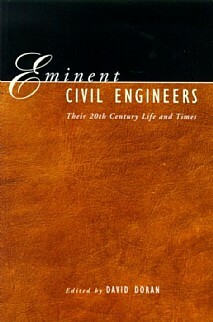 This book gathers together contributions from 30 engineers (UK and overseas) who have influenced civil engineering in recent times. They were invited to write about their career and what encouraged them to follow this path; who inspired them; what they found of interest; what fundamental principles they learned and carried with them - and much more. The result is a fascinating accumulation of anecdotes, helpful advice and wisdom. As such the book will appeal to anyone in the industry but especially to young people who may be considering pursuing a career in this profession with its endless fascination, challenge and intellectual reward. D. Quinion; P. Campbell; Dr. G. Idorn; R.J.M. Sutherland; Sir N. Simms; Dr. F. Leonhardt; C. Brown; M. Woolley; Lord Howie; Dr. A. Flint; M. Tomlinson; Professor K. Kordina; P. Head; Dr. G. Somerville; Professor K. Ono; T. Smith; D. Dennington; Dr. J. Armstrong; B. Simpson; Sir Alan Harris; Dr. S. Thorburn; Professor P. Hewlett; A. Goldstein; Dr. M. Brainov; Dr. J. Chapman; S. Tietz; B.L. Hurst; Sir Jack Zunz.